Gelsenkirchen - FC Schalke 04 mascot Erwin has been making waves on social media this summer, but on Friday it was the turn of the players and coaching staff to step into the spotlight for the club's annual Media Day. 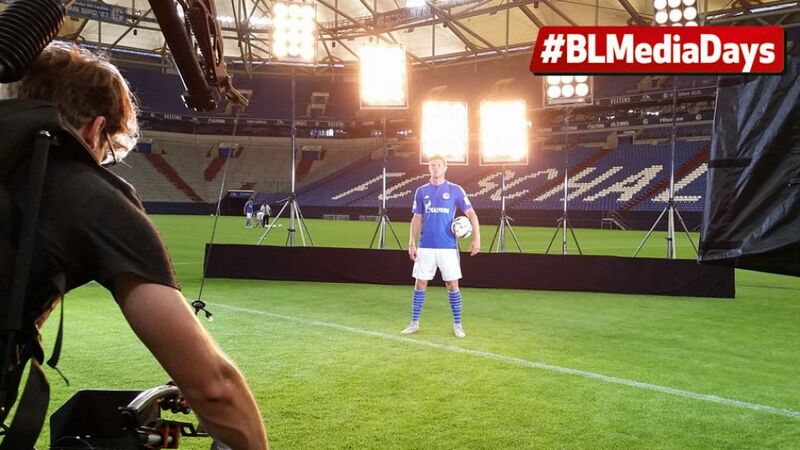 The event, which took place at the Veltins Arena, is used to present the Royal Blues' new signings, take official photographs and produce exclusive media content for use throughout the upcoming campaign. For new Schalke coach Andre Breitenreiter, media days are anything but routine. The 41-year-old's first such event only came last season, when in charge of SC Paderborn 07, which would explain not only his complete enthusiasm for the club and new surroundings but also his refreshing readiness to talk. "I absolutely cannot wait for the first game," he enthused. "Schalke are such a big club and it's incredible how many fans travelled to our training camp." New Schalke head coach Andre Breitenreiter says he "absolutely cannot wait for the first game [of the season]." Along with their official media day, Schalke used the presence of all their players to record in-house and sponsors' media content, requiring the players to hold their smiles for that little bit longer. "We know we have to do it and so it makes it a lot easier to do it in a good mood," explained a relaxed Höwedes, who was preparing to set off for a long evening of sponsors' events with fellow World Cup winner Julian Draxler. When you represent a big club, there's always going to be interest! "From another perspective: how the S04 team photo came into being," reads the tweet below. Max Meyer loves Schalke and he loves the Bundesliga: "It's everything to me." Leroy Sane, Max Meyer and Co. get ready to try their luck in the Corner Kings challenge. Translation: Lining up for the official team photo. The Royal Blues get ready for their official team photo. Come in, if you’re a Schalker! The Veltins Arena gears up to host FC Schalke 04’s annual Media Day.